West Village Dentistry, with its views across Washington Square Park turned to Idea Space to help reinvigorate its outdated office suite. 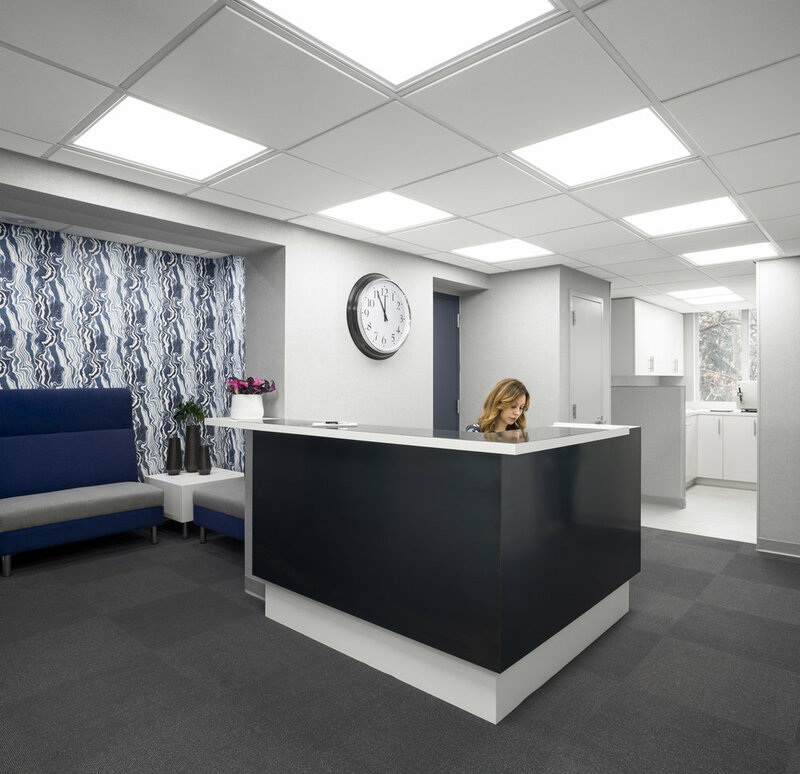 The design criteria included creating a welcoming space that would appeal to long time patients while incorporating progressive elements that would assist in attracting new clientele residing and working in the West Village of New York City. Dr. Roberts’ interest in the genre of Steampunk and the vocabulary found in industrial architecture informed the redesign of the space. The industrial, artistic qualities of the space harmoniously exist among the soothing backdrop of the dentistry office. As part of the material palette Idea Space introduced blackened stainless steel at the reception desk and polished chrome faucet hardware at all sinks echoing the hand wheel found on fire hose valves. We reinterpreted the blue finishes that had been present in the office to bring about a more masculine shade of the color in the metal doors, furnishings, and custom wall coverings. An additional challenge presented to Idea Space were the logistics and phasing of the project which called to keep the dental practice operational to the greatest extent possible. Given the scope of the project we collaborated closely with our contractor to create a clear schedule. It was determined that the office would be closed for two weeks allowing construction to reach a point where the dental practice could reopen for a two month period. The practice was then closed once more for an additional two weeks in order for construction to be completed. During that time, all lighting, wiring, plumbing, ceilings, wall covering, cabinetry and flooring were to be removed and reinstalled with new. Custom furnishings were then brought in to bring the office to a full finished environment; an inviting space where the staff and patient alike would feel comfortable and at ease.